US lawmakers have introduced a bill to extend duty-free benefits for some knit and woven apparel products imported into the US from Haiti in an effort to aid reconstruction in the earthquake-torn country. The Haiti Economic Lift Program (HELP) Act proposed yesterday (28 April) would extend the Caribbean Basin Trade Partnership Act (CBTPA) and the Haitian Hemispheric Opportunity through Partnership Engagement Act (HOPE Act) until 30 September 2020. At the moment, the CBTPA is currently set to expire on 30 September 2010, while key provisions of the HOPE legislation expire at the end of next year. 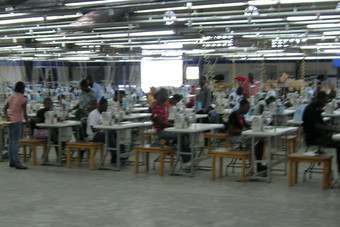 The proposed legislation would also mean that 200m square meter equivalents (SMEs) of Haitian knit and woven clothing products would qualify for US duty-free treatment regardless of the origin of the inputs. This is nearly three times the 70m SMEs that currently benefit. The increase will occur in any year that Haiti ships 52m SMEs of knit or woven apparel to the US. But it will also trigger sublimits of 85m SMEs for knit clothing and 70m for woven apparel. The bill also extends until 30 December 2015 the value-added rule that provides duty-free treatment for apparel made in Haiti with at least 50% value from that country, the US, a US free trade partner or preference program beneficiary, or a combination of these. Duty-free treatment for Haitian apparel with at least 55% of value from qualifying countries is extended until 20 December 2017; and until 20 December 2018 for apparel with at least 60% of value from qualifying countries. The American Apparel and Footwear Association, whose members include major US retailers and importers, described the proposed legislation as a "positive step forward toward a long lasting economic recovery for the people of Haiti." By renewing soon-to-expire trade preference provisions and expanding existing programs, "this bill works to ensure that all facets of the US apparel and textile industry have the opportunity to participate in Haiti's short-term recovery and long-term growth," explains its president and CEO, Kevin Burke. He also says the group will push for a quick vote in Congress on the trade legislation. 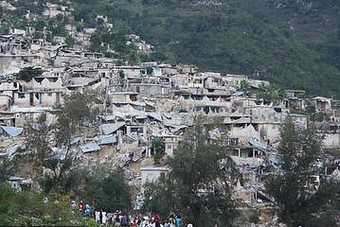 As the single largest sector of Haiti's economy, the apparel industry is seen as playing a leading role in the country's overall recovery from the magnitude 7 earthquake that devastated it early this year. 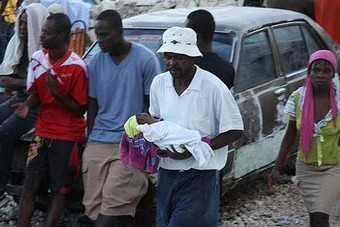 Clothing accounted for three-quarters of the nation's exports and more than 25,000 jobs before the earthquake hit the capital Port-au-Prince on Tuesday 12 January. Since then Haiti's apparel industry - once the seventeenth largest supplier of apparel to the US with exports worth more than $513m in 2009 - has seen capacity drop by nearly 50%. As well as helping Haiti through recovery, the bill new should create a predictable and certain environment for the US apparel and textile industry - and send a clear signal to US retailers that they do not need to look to China and other Asian countries to fill orders. It would also help stimulate investment and create jobs. The Obama administration has already called on US clothing brands and retailers to source at least 1% of their total apparel production from Haiti. 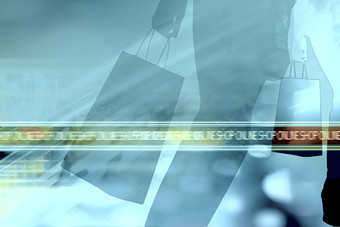 And companies including Hanesbrands and Gap Inc have pledged to continue sourcing from the country to help its long-term economic growth. Click here for the text of the Haiti Economic Lift Program (HELP) Act of 2010.